InspiraFarms has added €2.5 million ($3.1m) to its Series A round of investment from existing investors, bringing the company’s total Series A funding €4.15 ($5.1m). The first close on €1.65 million ($1.78 million) was announced in 2017. The UK-headquartered B-Corp continues to expand its supply of cold storage and food processing technology to small and growing agribusinesses throughout East Africa, Central America and beyond. InspiraFarms is geared to help farmers in some of the world’s more demanding locations move up the global food supply chain by providing them with cold-chain processing facilities. These facilities will enable them to reduce post-harvest crop deterioration and also satisfy the food safety and quality requirements of their final customers. Post-harvest losses due to environmental exposure and pests are extremely high in many places, with McKinsey estimating that 30% of agricultural production in Africa and Asia is lost in post-harvest processes. That figure is much higher in some places. The lack of cold storage in remote locations also places a limit on product management, seriously reducing shelf-life potential and therefore a farmer’s potential income from sales. The lack of cold storage in remote locations also places a limit on product management, seriously reducing shelf-life potential and therefore a farmer’s potential income from sales. The similar lack of on-farm processing facilities also lowers the capability of producers to maximize the value of their output. This is a huge frustration for farmers, especially in areas where they can usually access an abundance of labor, given the right equipment and working environment. Described as a ‘game changer’ by InspiraFarms technical director Dr Michele Bruni, the technology on offer consists of modular cold storage and food processing units, which run on off-grid renewable energy. “Thanks to partnerships with groups focused on the advancement of sustainable businesses, building the circular economy, and creating employment opportunities, we’re now able to help more rural communities overcome the challenges of distance to markets and access to energy,” said Bruni. The company, which has its production base in Italy, operates through regional offices and sales agents in Guatemala, Kenya, and South Africa. That’s in addition to its HQ in Sevenoaks, England. While the current offer is new and a major advance for InspiraFarms, the business already has units working successfully in Africa and Central America. 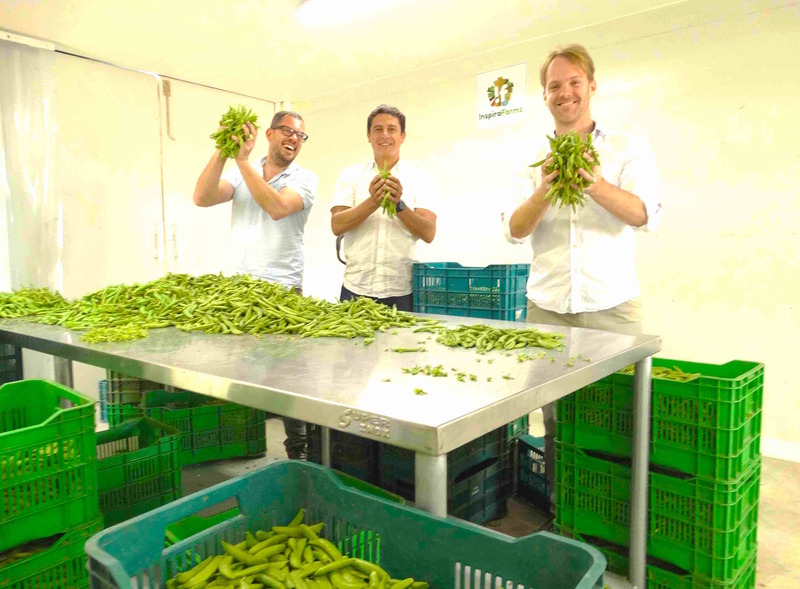 In 2014, for example, InspiraFarms delivered an off-grid food processing unit to producers in Guatemala. InspiraFarms hoped this would enable small-scale farmers in the country to gain a more significant stake in the export supply chain, an initiative which has helped many producers to start moving forward. Some, in fact, are now producing and selling twice what they were able to do three years ago and no longer have to endure a high-level of post-harvest losses. The following year, 2015, InspiraFarms partnered in placing its first solar-powered cold storage plant in Rwanda, providing the country’s social enterprise mushroom producer Kigali Farms with a low-carbon method to reduce post-harvest losses. Here again, this has helped the business concerned to enhance the quality of its output, particularly as regards the all-important global trade requirement for extended product shelf-life. Compliance with GAP and HACCP certifications allows farmers to sell produce at a higher value. InspiraFarms will use this round of funding to substantially expand its global reach, potentially selling five new units a month, alongside an interest-free loan offer to its customers. A group of “like-minded investors” according to InspiraFarms managing director, Tim Chambers joined the round including Factor(e) Ventures, a venture impact development firm investing in and partnering with high impact technology ventures across energy access, agriculture, waste and resource management, and sustainable mobility. Also joining was Energy Access Ventures (EAV), which is backed by French multinational Schneider Electric, European Investment Bank, and OPEC Fund for International Development (OFID), and invests in energy-related businesses in Africa. PYMWYMIC (Put Your Money Where Your Meaning Is Community), an investor community of families, individuals and foundations who support for-profit companies creating global impact, Montpelier Foundation, which focuses on education, agriculture and energy, and the Doen Foundation, which invests in green activities, socially inclusive projects and creative initiatives, also invested. Schneider Electric’s sustainability senior vice president, Gilles Vermot Desroches, said InspiraFarms was providing reliable and innovative energy solutions to agribusinesses in off-grid and unreliable grid areas. “We believe this investment will strongly contribute to foster productivity gains in agriculture value chains in Sub-Saharan Africa,” he said. “It will also deliver economic and social benefits, namely for low-income women. Factor[e] Ventures’ Seth Silverman was equally enthusiastic, adding: “This offers a fully integrated and financeable platform for small-scale farmers that dramatically reduces post-harvest loss. Because of their technology innovation and deep understanding of their customers, InspiraFarms has developed facilities that serve as the linchpin for supporting distributed, small-scale producers up-and-down the value chain”.